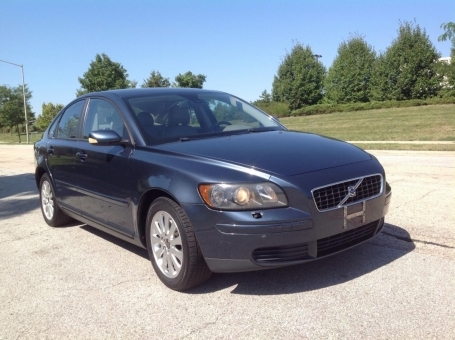 This 2005 Volvo S40 2.4i is a compact sedan with a fuel efficient 2.4 liter 5 cylinder engine, spacious and comfortable interior, and plenty of outstanding features. This edition is newly detailed, super clean, sharp, and in good working order. The S40 has sharp, distinctive styling, leather seats, and simple controls. This vehicle has a bit of European flair and good looks which makes it a viable alternative to the mainstream sedans. The S40 will prove a smooth ride and has capable handling. Options include a hard top, power seats, windows, mirrors, locks, alloy wheels, Goodyear Assurance, dual climate control, heated seats, AM-FM stereo with CD player.